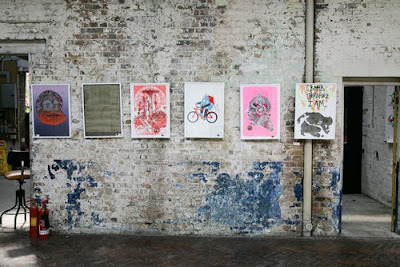 If you missed the Secret Blisters on My Fingers exhibition organised by the Print Club two weeks ago, then fear not as the have just posted the remaining prints from the show over on the Print Club webshop. 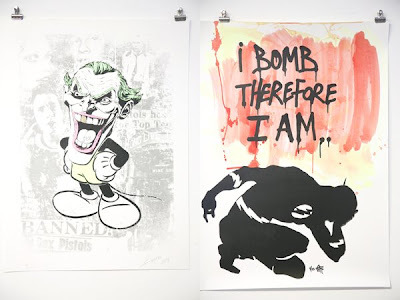 On the street art tip there were prints from Cept, Agent Provocateur, Rugman, Pure Evil, Eine and Sweet Toof. The latter three, Pure Evil, Eine and the Sweet Toof have all sold out but there are copies still available from the other 3 artists. All the 53 artists involved in the Blisters project each produced an edition of 35 prints all which are/were for sale at the very affordable price of £35 each. 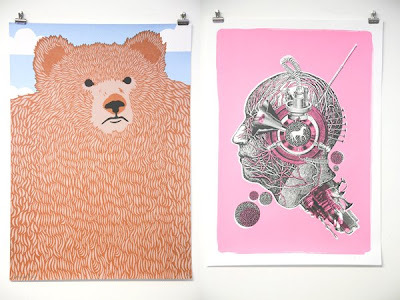 Some of the other non streetart prints that we liked included Alexander Pointing 'Bear' print pictured and a print from Masa also pictured. Some other artists / illustrator involved included Ian Stevenson, Kate Moross, Jody Barton and Si Scott to name a few. Check the full collection of prints here.